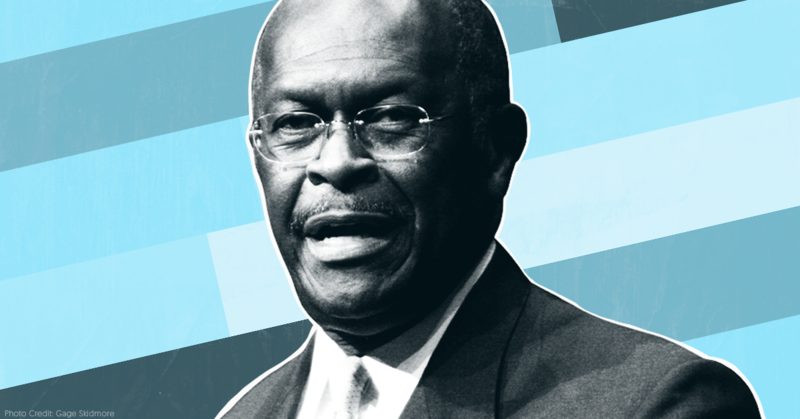 Herman Cain, President Donald Trump’s pick for a seat on the Federal Reserve Board, took money to promote the newsletter of an anti-vaccine conspiracy theorist. 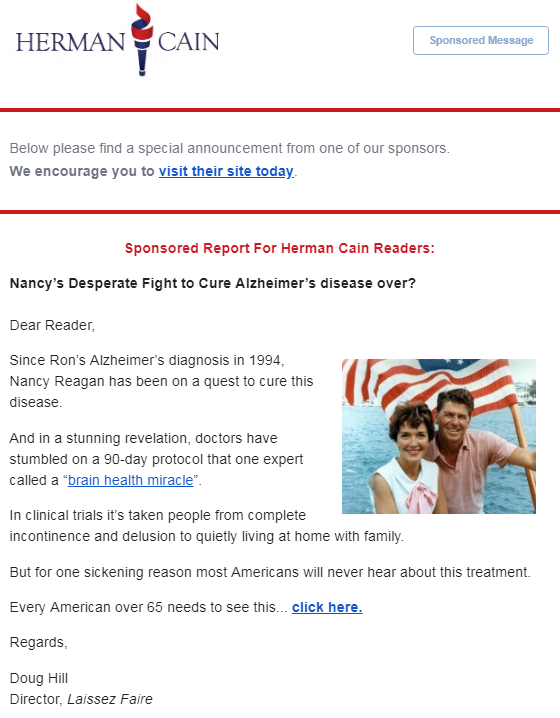 Cain also sent sponsored emails suggesting that the government is forcing citizens to take “7 deadly drugs” and that former first lady Nancy Reagan's "desperate fight to cure Alzheimer’s disease" may be "over." 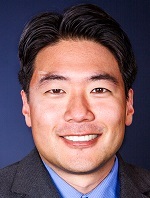 Media Matters has documented that Cain sent scammy financial emails to his mailing list, including ones that touted now-virtually-worthless penny stocks and dubious financial advice like a “weird trick” that supposedly “adds up to $1,000 a month to Social Security checks” and a "moneymaking strategy" that could "turn $1,000 into $800,000." Catherine Rampell, who covers economics as a Washington Post opinion columnist, recently noted that "Cain spent the years following his failed presidential campaign spamming his email followers with snake-oil scams, promising 'weird tricks' that would make his followers get rich quick or 'naturally' cure their erectile dysfunction. Of course, such grifting might enhance Cain’s candidacy in Trump’s eyes, but it hardly bodes well for a man seeking to join an institution with consumer protection duties." 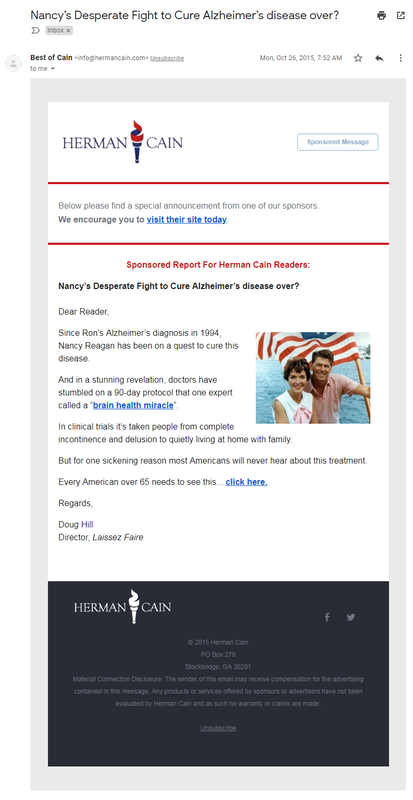 Cain has also pushed sponsored emails with scammy medical information to his email list. Here is a look at three of those dangerous paid promotions. 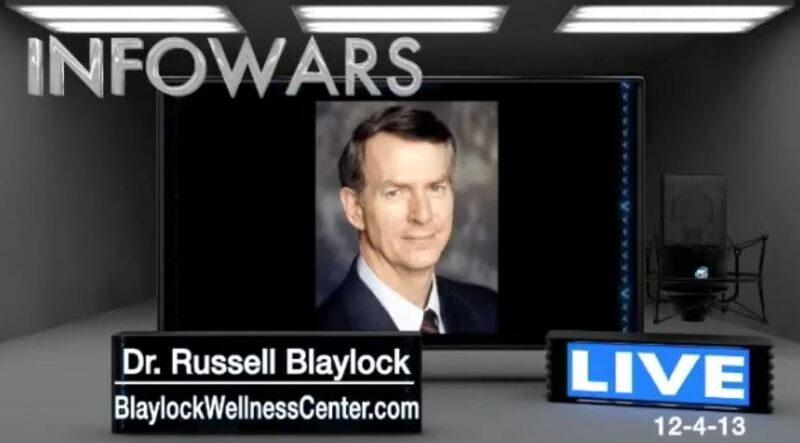 In 2013 and 2015, Cain sent sponsored emails touting the work of Dr. Russell Blaylock, an anti-vaccination “quack” who has repeatedly appeared on conspiracy theorist Alex Jones’ program. The emails were part of an advertising campaign for a subscription to The Blaylock Wellness Report, which is published by the conservative website Newsmax. Associating with Blaylock has previously been toxic for a Trump-affiliated politician. In 2014, right-wing commentator Scott Brown, a former Massachusetts senator who is now Trump’s ambassador to New Zealand and Samoa, dropped Newsmax as an email advertising partner after he was criticized for sending sponsored advertising from Blaylock to his mailing list. 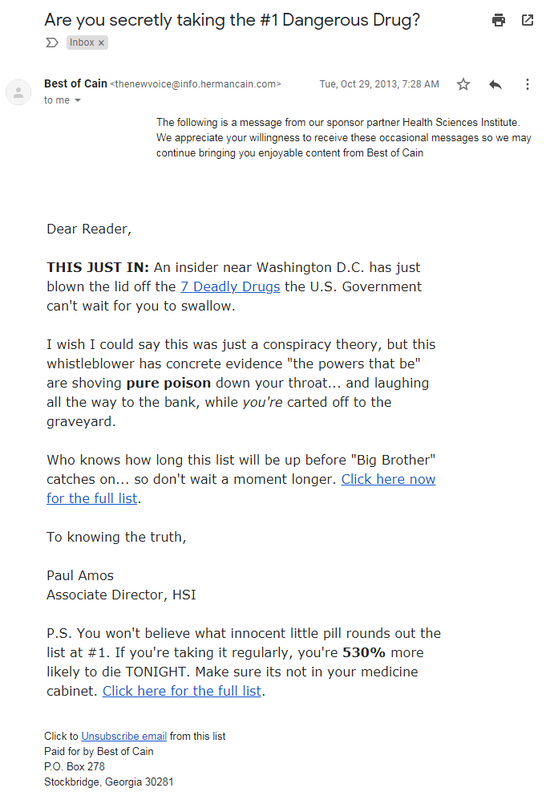 Cain sent a sponsored email from the Health Sciences Institute which claimed that "an insider near Washington D.C. has just blown the lid off the 7 Deadly Drugs the U.S. Government can't wait for you to swallow." The email assured readers that it's not a conspiracy theory since the "whistleblower has concrete evidence 'the powers that be' are shoving pure poison down your throat... and laughing all the way to the bank, while you're carted off to the graveyard. ... P.S. You won't believe what innocent little pill rounds out the list at #1. If you're taking it regularly, you're 530% more likely to die TONIGHT." Last year, a man named Brian Chambers announced a world-changing advance: An international research organization called the Health Sciences Institute had found an incredible cure for cancer hidden in the Book of Matthew. For just $74, you, too, could discover the secret. The Health Sciences Institute is part of a company called NewMarket Health, which is just one asset of a Baltimore-based publishing empire named Agora Inc. Agora’s subsidiaries and affiliates publish more than 40 newsletters and sell more than 300 books on a range of topics, including biblical health tips, natural-healing supplements, and “insider” investment advice—a mix of ideas the company considers the intellectual equivalent of the marketplace of ancient Athens. To find new readers for its ever-expanding catalog of publications, Agora’s subsidiaries have tapped into a network of conservative heavyweights, including Huckabee, Ron Paul, and Newt Gingrich, who sell access to their massive email lists to advertise Agora’s products. 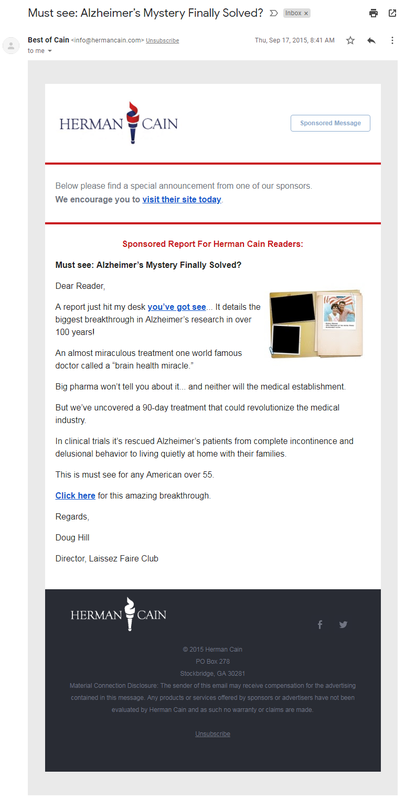 Laissez Faire is another Agora-affiliated company that sells a subscription-based newsletter which claims to show readers “how to live a happy, healthy, and wealthy life.” It also publishes a newsletter called Natural Health Solutions, which uses Nancy Reagan (“Nancy’s 90-Day Protocol”) in advertising materials in an attempt to gain subscribers. Correction (4/10/19): This piece originally stated that Scott Brown promoted Russell Blaylock in 2013. In fact, it was in 2014.